It seems to be a basic law of political thermodynamics that centre left parties can only ‘lurch’ or ‘swing’ when they begin to sound more assertive. This lateral motion always takes them further leftwards, allegedly in response to the primal, atavistic demands of left-wing ideology, and at the prompting of trade union heavies. Think about it. Has anyone ever heard of a major New Zealand political party being publicly described as having “lurched” to the right? It never happens. They just don’t swing like that. Interesting fact: ideology and extremism is commonly found to be virtually invisible at centre-right wavelengths on the political spectrum, where it tends to strike even seasoned political commentators as sheer common sense. Or as the credible politics of centrism. Coverage of the weekend’s Labour Party conference offered some pretty good examples of this interesting cosmological imbalance. Point being, it was really hard to recognise the Labour Party conference taking place at the Air Force Museum in Wigram from the descriptions being bandied about beforehand in the mainstream press. If words like “radical” “left wing” “extremists” “intervention” etc were a drinking game, much of the media would have been flat on its back even before the conference started. Personally, the prospect of Labour leftists lurching leftwards seemed pretty enticing to me. At conference, would there be nooks full of goateed delegates holding eager discussions about Gramsci? On Saturday night, was Gerry Brownlee likely to be awakened by the rattle of Labour Party tumbrils over the cobblestones outside Chez Brownlee? Not so much, as it turned out. Anyone attending the conference would have been hard pressed to find either sight or sound of revolution in the air. The main policies unveiled at the conference were (a) the proposal to create a competitive Kiwi insurance company along the lines of Kiwibank, and (b) a detailed blueprint for resolving the crisis of affordable housing in Christchurch. This would focus the initial thrust of the Kiwibuild uber-plan to build 100,000 homes over the next ten years on the needs of first home buyers in Christchurch. There would also be an intensive scoping exercise to identify if any buildings close to the red zone could be fixed or shifted, rather than demolished. This was hardly the Communist Manifesto. Cunliffe’s wide ranging keynote speech – which he delivered Obama style, by moving out from behind the lectern and interacting with the audience, was especially well received. Without exception, the conference remits amounted to a mere modernisation of the party’s traditional stances and founding issues. In that respect, the quota remit to increase the representation of women among Labour MPs from the current 41% to 45% (after the 2014 election) seemed unexceptional. Party President Moira Coatsworth described the goal as being readily achievable, given the calibre of women candidates now coming forward for inclusion in a party list likely to be finalised by next April. Would any men of merit be likely to be displaced by such a quota? Theoretically. Yet for years, Coatsworth pointed out, women candidates of merit have been disadvantaged on the grounds of their gender. As a consequence, 51% of the population still comprise only a third of all MPs in Parliament, 120 years after universal suffrage had been won. Given that context, Labour’s quota amounted to a small but significant step towards balance and opportunity. As the business of conference rolled onwards, it was noticeable that remits were being amended, passed or voted down by delegates without any intervention by those mythical trade union heavies, so beloved by the media. For their part, the delegates looked like a fairly representative sampling of middle New Zealand. There were young Labourites in their 20s alongside timeworn veterans of Labour Party conferences of decades past, all the way back to 1971. Grey Power members sat beside young Internet entrepreneurs. Lorde’s hit song “Royals” – and not the Red Flag – was the preface to Cunliffe’s keynote speech. What I’m getting at is that – on the evidence at Wigram – the current Labour Party seems distinctly non-threatening. All claims to the contrary, Cunliffe was not installed by the unions, and nor is he being induced to lurch leftwards by their agenda. The less dramatic reality is that the government’s looming changes to industrial legislation are so far wide ranging (and yes, so extreme and ideologically driven) that any centre left party would feel obliged to oppose them. Yet if anything, the current trade union hierarchy seems somewhat reluctant – as it was in 1991 over the Employment Contracts Act – to lead any national industrial stoppage protest action that might endanger Labour’s election prospects. Such as it has been, the grassroots campaign against the new employment legislation has been a genuine, but carefully managed response. For the last couple of years at least, Cunliffe has enjoyed enthusiastic support from a very broad spectrum of the party membership that far out outnumbers any trade union component. 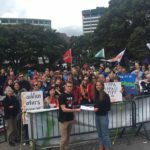 That membership is feeling freshly motivated less by ideology than by the demonstrable fact that large numbers of New Zealanders are suffering under the current policy settings of the Key government. Again, that’s hardly a radical view. Go to any food bank and you will see the evidence. Unfortunately, a few Chicken Lickens in the media (and elsewhere) feel the sky is falling because a Labour opposition party has begun to oppose current practice, and to propose alternatives to a status quo that is socially unsustainable. This change looks more like democratic choice working as it should, and not like some hydra-headed outburst of radicalism. It is only because we’ve seen Labour being the other party of business for so long, that some are finding it hard to recognise it. As an illustration, take one of the prime examples of the radical vs. conservative divisions alleged to exist within Labour, over its stance towards the Trans Pacific Partnership trade deal. If one believed the mainstream press, Labour’s left wing radicals oppose the TPP because of the threat it poses to New Zealand’s sovereignty. If so, they’re in good company. In the US Congress many Democrats, a good number of moderate Republicans and the Tea Party faction have voiced very similar concerns that the TPP presents a unique threat to national autonomy, So does the acknowledged guru of free trade, Professor Jagdish Bhagwati of Columbia University, who explained his concerns about the TPP in an exclusive interview with Werewolf last year. In sum, if having misgivings about the TPP (and the way it is being negotiated) is a radical position, radicalism is now a very, very broad church. On the issue of the TPP at least, leftists and libertarians share common cause. In essence, this amounted to a moderate attempt to re-assert the primacy of Parliament and to create a more transparent system – mainly by limiting the ability of the Executive to commit New Zealand to trade deals and defence treaties without prior disclosure and debate, via an order in council. However, this allegedly leftward lurching Labour Party not only opposed this mild remit in workshops, but it also voted it down on the conference floor. 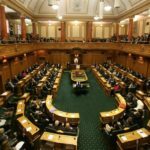 Somewhat ingenuously, Phil Goff had risen to reassure delegates that Parliament would still have a role, in that it would get to approve the subsequent legislation that would align our laws with the TPP provisions. This proved to be enough to defeat the remit. This wasn’t the end of it, though. Another TPP remit surfaced the next day. The new remit wording aimed to commit Labour to with-holding support for the TPP because the government had not been adequately transparent about the process, and because it was taking unacceptable risks – “including the ability of companies to sue the government, and the role of Pharmac.” Until full details were made available and until “clear evidence” was presented that the agreement was in the best interests of New Zealand, Labour would therefore with-hold its support for the TPP. This remit – arguably a tougher test than the one rejected on Saturday – passed with ease, and without rancour. Two points need to be made about this conference process with respect to the TPP. One, it was an elegant solution to an issue being touted in the media as potentially divisive. Secondly, the positions created by either remits were hardly radical ones. If anything, they were weaker than the current position on the TPP recently adopted by the right wing UNMO government in Malaysia. UNMO’s current strategy? 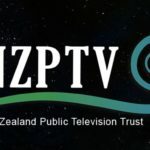 It has pledged to carry out an extensive cost benefit analysis of the TPP, to publish the figures, and to hold a public debate about the TPP, all of this before moving to a further debate in Parliament about the final form of the deal, and a vote by all MPs on its contents. In this 23 October issue report in Malaysia’s Business Times, note the bald assertion about the TPP timetable to which Malaysia is working. John Key may continue to cite a possible deal on the TPP being clinched by year’s end. Yet International Trade and Industry Minister Datuk Seri Mustapa Mohamed plainly disagrees: “We will not sign the agreement by the end of the year, and will allow the public to use the cost-benefit analysis as a basis for discussion. The Parliament will have a chance to debate on it.” When it comes to the TPP at least, Malaysia seems keen on open democracy. This admirable stance is in stark contrast to the situation in New Zealand, where the TPP process has been a secretive travesty. If the Labour Party can continue to steer its way through its debate on the TPP (and other potential flash points) with the skill displayed in Christchurch, some of its past divisions may not damage it unduly next year. Still, some tough debates lie ahead. Notably, around how Labour plans to manage its relationship with the Greens, a necessary ally still seen by some party strategists as being ballot box poison for Labour. Also, clinging to a bland centrism will not suffice. Not if Labour, as already announced by Cunliffe, really means to inspire and to re-motivate the 800,000 non-voters currently turned off entirely from any participation in the democratic process. That situation has arisen partly because both major parties have shared an allegiance to the tenets of the economic strategy laid down in the 1980s, and only tweaked at most, since then. All this bears repeating if only because the conformity between the two major parties has held sway for so long it has become the only position regarded as economically and politically credible. Failure has been no obstacle to dogmatism on this point. For years, the sense that there is no alternative has meant that Labour has been slowly chuntering downhill on an empty tank and fumes from the so-called “Third Way” policies that it borrowed wholesale from Tony Blair and Bill Clinton in the 1990s. In their infinite wisdom, the Third Way advocates have argued that Labour has needed to abandon its blue collar and beneficiary constituents and focus instead on trying to win over those white collar professionals who seem to be liberal on social issues. Problem being, the social issues that subsequently became Labour’s sole badge of authenticity also earned it a good deal of mockery for being the out-of-touch party of political correctness. In the process, Labour has quietly continued to embrace the dry economic policies that have systematically destroyed the jobs of the party’s traditional base. For Labour, Rogermomics has been a very long suicide note. That approach needs to change substantially, as Cunliffe pointed out in a speech to his New Lynn branch last year. Labour has to define afresh what it stands for in the wake of a Global Financial Crisis that has driven the last nails into the coffin of the neo-liberal economic orthodoxy that has failed most New Zealanders so thoroughly for the past 30 years. The virtual bipartisan consensus on economic policy will no longer do. As Cunliffe said last year: “When the right-wing party says it’s going to cut your leg off…voters don’t want to be told that the left-wing party is also going to cut your leg off, but cut it off a bit lower down and give you some anaesthetic.” Unfortunately, some Chicken Lickens appear to feel that the sky is falling as a result, simply because a major opposition party has begun to oppose current practice, and to propose alternatives. It remains to be seen how much of an alternative economic strategy Cunliffe will be able to devise and be willing to promote. It is no easy task to come up with a post GFC, post Third Way economic prescription. In Britain, Labour opposition leader Ed Milliband is grappling with exactly the same problem. Like Milliband, Cunliffe is well aware that simply opposing cuts to government spending, entitlements and services is not enough, in itself. For now though – and for the first time in years – people are starting to look to Labour once again, as a source of fresh policy ideas. It has momentum once more. For a government seemingly bereft of any strategy beyond selling state assets and hoping for the best this has to be a worry.